simplify my nail polish routine. 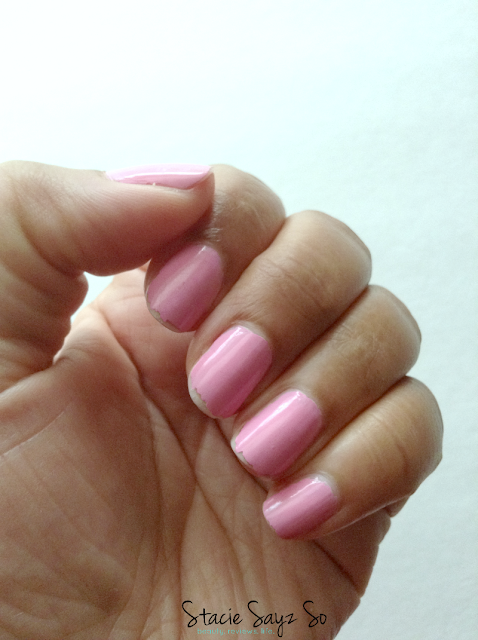 While chatting with a gal on Twitter, it was suggested that I try Sally Hansen Miracle Gel. She swore that it worked wonders for her, but I was a little skeptical. Do yo know how hard I am on my nails? And with the $9.99 price tag, I didn't want to take the chance. Curiosity finally got the best of me and I buckled down and bought the set to see how well gel nail polish at home would work for me. After painting my nails on a Saturday, I found that it was long lasting and still had great shine. It started chipping after the fourth day, (Tuesday) which is pretty good for me. Normally my nails look a hot mess by the third day. While it didn't last 10 days like it said it would, I still felt like I got more wear out of it than any other polish making it a good buy. Besides, I got a lot of compliments on this color! You can purchase Sally Hansen Miracle Gel at Target (affiliate). 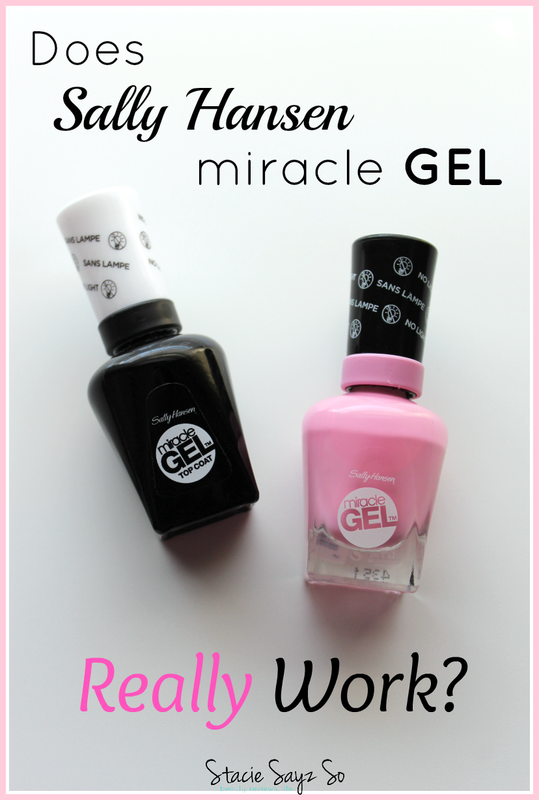 Have you tried Sally Hansen Miracle Gel yet? There's that nail color I was looking for in the other post. So pretty! I'm pretty hard on my hands, too. Maybe I'll have to try this one out. You should! I have it on again and this time it's lasting much longer. Ooh, I have to try it on my toes now! Thanks for the tip. They sure do! Check them out. I've never tried gel polish before but maybe I'll have to pick some up if it's suppose to last longer than regular polish. I love the color! I actually started using this gel polish back in March because Ulta had it on sale for $7, and I needed something that would last longer than 24hrs. 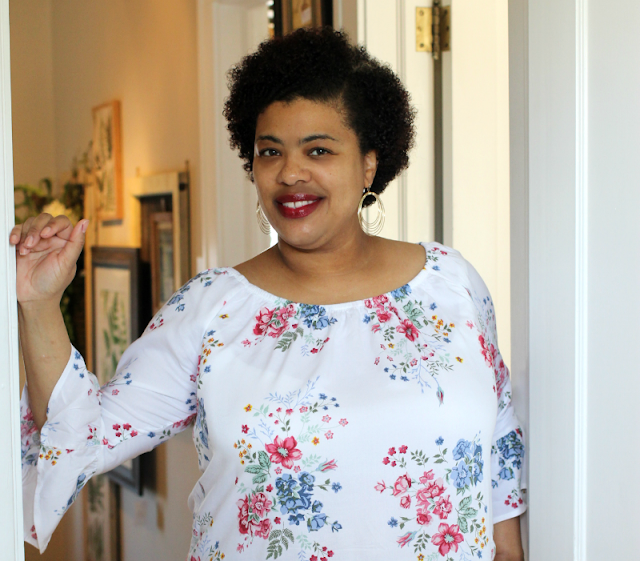 I just went back (another sale) and bought two more colors that I love. I'm am also really hard on my nails. So I would be lucky to get even one day without my nails chipping. So the 4-6 days that I get with this polish is totally worth it for me lol. I think you were the one I spoke to about this nail polish. Thanks for the heads up sis! Stacie I'll definitely have to give it a try! I typically change my polish every few days but this will be awesome during the summer while I'm traveling! That color is soooooo pretty on you Stacie!! Just love it, it's like bubble gum pink! It is a pretty color! I've been skeptical on trying these as well but next I have some extra ECBS I think I'm going to try this system. I've always wondered how well this lasted - was it just like a gel manicure where you had all the different layers?